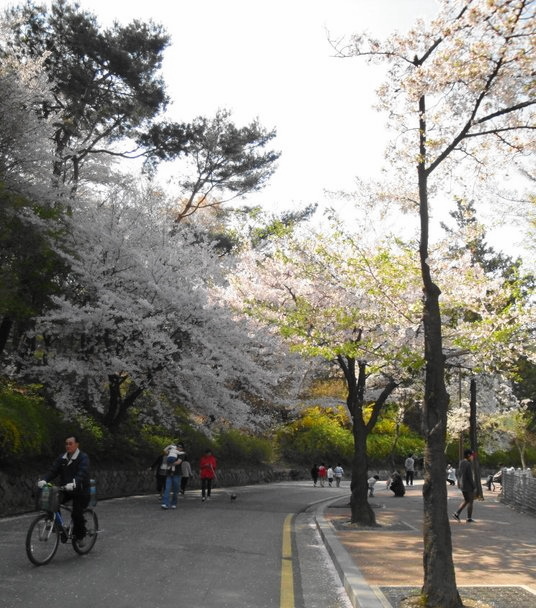 This weeks Photo Wednesday was taken in Seoul on a typical Cherry Blossom tree lined street. As mentioned in our post earlier this week (Cherry Blossoms 2015) this time of year is great for natural beauty and photo opportunities. The street is pretty standard here in South Korea at the moment, and really highlight this short but sweet season. Last weeks Photo Wednesday – “Love Art at Coex Mall” can be found HERE.